Yep! That’s it! The bag is yours 🙂 Don’t forget to guess the number of books. My guess for total books is 800. #1 – my guess is 759. #2 – If that copy of The Strain (1st Column, lower level, about 7 books from the top) is by Guillermo del Toro and Chuck Hogan, PLEASE PLEASE PLEASE PICK ME!!!!!!!! Wow, that’s quite the TBR! I’m guessing 877 books. I hope I’m doing this right! 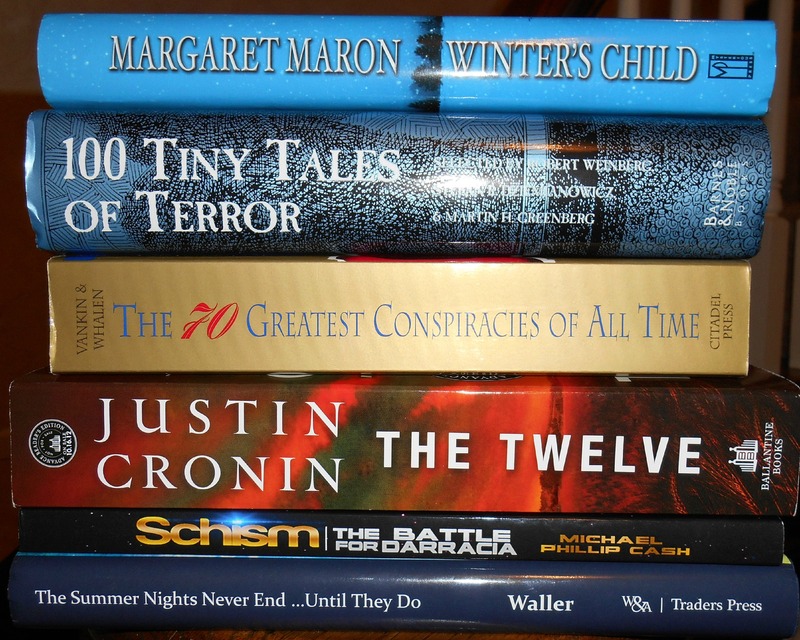 I want The Twelve by Justin Cronin…it’s in the fourth stack from the right, eighth book from the bottom. My guess for the entire lot…980. The Twelve is yours, Michelle! Too many things to do & I’m working off an iPad. 3. bottom section, second stack from right, tenth book down. That’s it from me 🙂 I need to get back to reading. You are entered for the first 2, but someone beat you to #3! Answering your first challenge: I’m going to say 789 books. And I thought I had a long TBR. I never imagined Mount TBR could be a literal expression! Picking a book must be like shopping your own library. Christmas every day! 1. My guess is 782 books! 2. I would love the Fiery Cross by Diana Galbadon there… I’ve been on the holds list at my library forever! Holy SMOKES! This woke me up that’s for sure! Honestly this is fun! What Jane Austen Ate and Charles Dickens Knew is in the fifth stack from the right and is the first book on top of the stack! 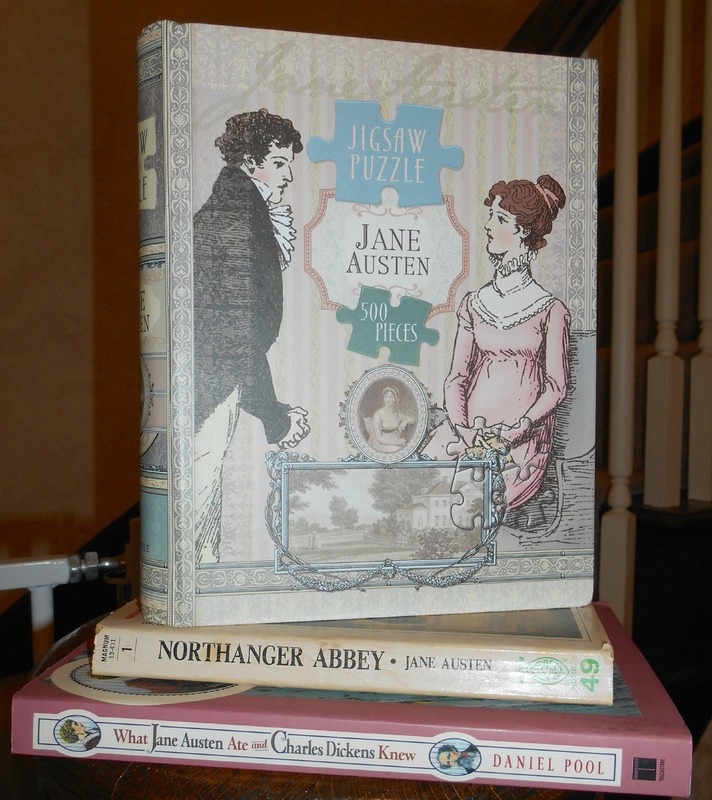 You are right on the Austen book so the puzzle is yours! I’m going to guess that there are 790 books. Can I change that now that I see someone already guessed that number? 807 is now my guess. I’d say you have 300 or more books there! When I saw the title, I thought it couldn’t be that bad. Obviously, I was wrong. Haha. #2 – Spotted Confessions of an Ugly Stepsister. #8 – Bottom stack, 5th pile from left, 18th from top. You’re entered for the first 2, but someone beat you to #8. I found the 70 greatest conspiracies of all time. It’s below Infinite Jest. 6. 1st top stack on the left 2nd book from the bottom! Did you mean She’s Come Undone? Answering your first question, I’ll say 822 books? Whoa, that’s one overflowing TBR. It looks stunning though. You’re entered for #1 but someone beat you to #4. 7th bottom row from the left fourteenth book down? 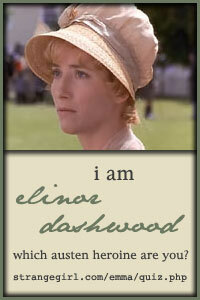 Ooh actually I found one of the jane austen books. Its the eleventh row on the bottom and the first book on the pile. I would much rather win this prize. Sorry, someone got there first. 1 00 Tiny Tales of Terror – Bottom section, 5th row from left, halfway down. have no idea how you can read all the titles! even with a magnifying glass it’s difficult to figure them out .. Sorry, someone beat you to it. You are entered for the # guess but somone beat you to the book. Wow! Not only impressive for the sheer size of Mt TBR but also that you moved them all together -and will have to move them all apart again! My guess is: 646! 1) I’m guessing there are 782 books! I am guessing 748. Also I would like to have PS I love you for my TBR stack. Also Schism: The Battle for Darraica is below Swoon. It is the second to last stack on the bottom and it is the second book down. Jenna beat you by a minute or two! 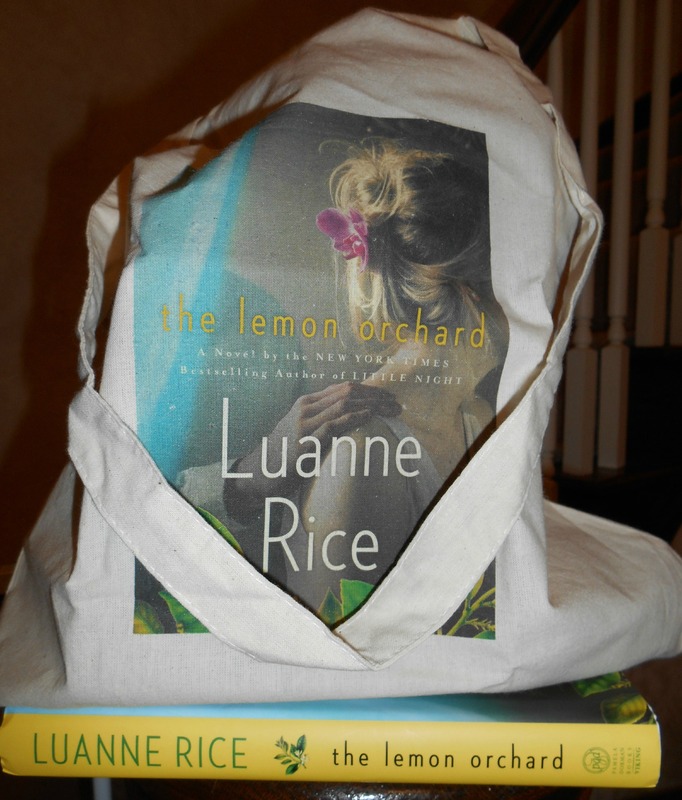 Wow – I feel so much better about my own number of TBR books! Of course, if you read faster than I do, then you’re probably okay! Oh man. I’m going to guess 535 books. So many beautiful books! 888, maybe? #7- Winter’s Child by Margaret Maron- Row 7, 8 up from the bottom. Hi, we guesstimate 803. That is an impressive pile of books. You house must be jam packed if these are the ones you haven’t read! I believe there are 857 books in your TBR. May you have a long, long life in which to read them all! #2- Diana Gabaldon’s – The Fiery Cross. I would love to have The Bride Collector by Ted Dekker in my TBR pile. Oh and I have to add that Lost and Found is an awesome book. You have to read it! What a brilliant way to keep sleepy book lovers awake, lol! My guess is 750 and for #2-if my name is picked I would love Discovery of Witches. Thanks! I’m guessing there are 807 books on your TBR! Even if that’s not right, I’m amazed by all of the books! So awesome! 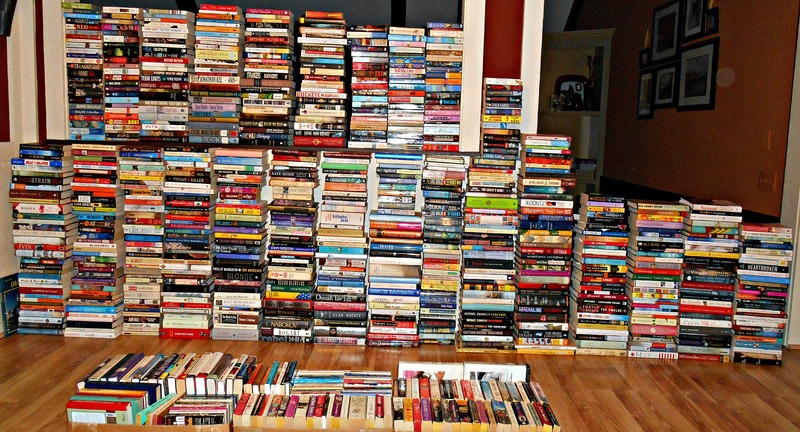 #1- Guess the total number of books in the picture. Labor Day is the very left row, six books down. Wooohoooo! I will send you my address. Thank you. #1- I guess that you have 724 books in your TBR Pile. My word!!! That is a TBR pile and I am very impressed – I’d imagine it took a while to put together too! Thankfully a decent % of my own TBR heap is now on my kindle so I can no longer see the scale of the crisis. I would guess you have 1001 books…? 1- My guess is 896 books. Thanks for hosting the giveaways. Fingers crossed to win. #1: So, math is not my strong point & I lost count a few times, but…..
Books in Piles= 697. Books in Boxes= 110. I’d guess you have around 800 books there. I can’t read the titles very well but do you have any historical fiction? The Girl With the Dragon Tattoo by Stieg Larsson is in my TBR pile. And I’ll say 525 books total. I’d have to estimate there’s around 710 books. And is that The Firey Cross by Diana Gabaldon I see there all red and lovely looking? I nearly fainted when I saw your books. Is the floor sagging?!?! My guess is that you have 786 books. I really like this challenge. I was asleep through it, but great idea. Wow – my guess is 600.
oops – I thought I might be too late. My guess was way off anyway!